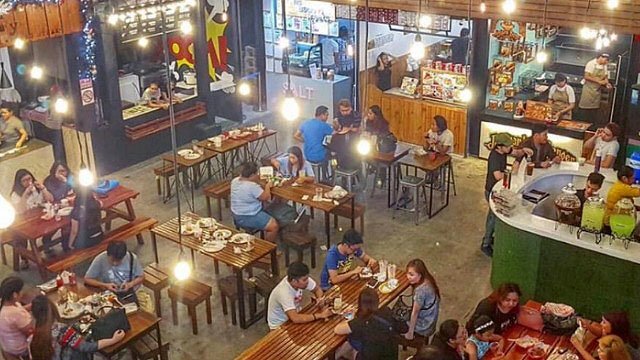 (SPOT.ph) Thank heavens for food parks—they've been a go-to destination for people looking to go on a late night food run or a laid back chillnuman session. No wonder there has been an influx of amazing food parks as of late, some of which you probably haven't even heard about. Have you been to any of these places before? 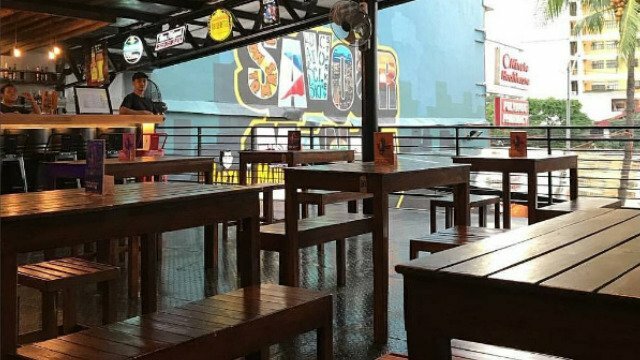 Tomas Morato is home to an array of hangouts and dining spots, and Savour Manila is a great example of the area’s eclectic food landscape. Whether you’re craving American hotdogs, Japanese ramen, or Mexican tacos, the place has you covered. Savour Manila is at 238 Tomas Morato Avenue, Barangay South Triangle, Diliman, Quezon City. Communeaty’s spacious dining area has no trouble accommodating the wide variety of food offerings, which range from the classic fish and chips, to unique spam fries, to giant slabs of ribs. CommunEaty Roces Food Hub is at 120 Don A. Roces Avenue, Diliman, Quezon City. If you like big portions, you've come to the right place. Vendors favor oversized servings—gigantic burgers, burrito-sized sushi, a full steak-and-potatoes spread, and unlimited crabs, just to name a few. 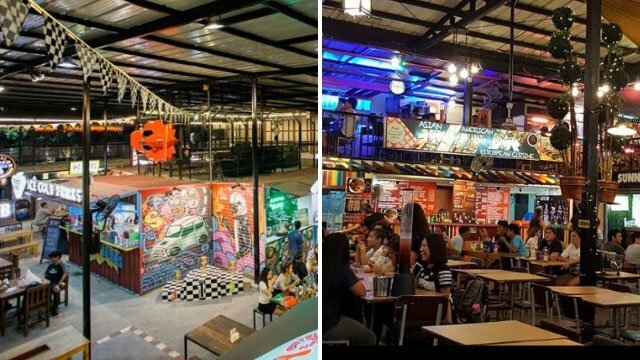 Pitstop Food Park is at Congressional Avenue Extension, Tandang Sora, Quezon City. 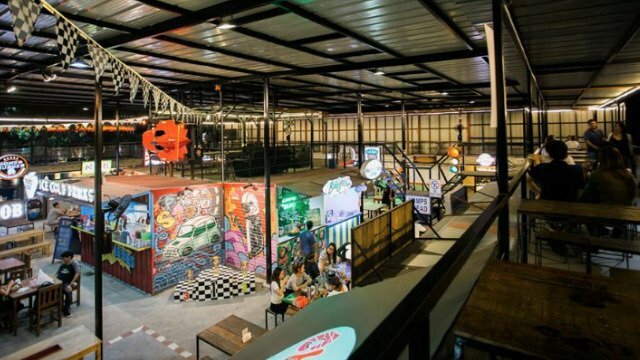 What does a 900-sqm food park with at least 30 concessionaires offer you? Enough options and variety to fill your belly. Stalls worth checking out include Hizon’s Cafe Burgery and #FoodieLoaded. Captain's Yard is at Lazaro Street, Barangay Dalandanan, Valenzuela City. 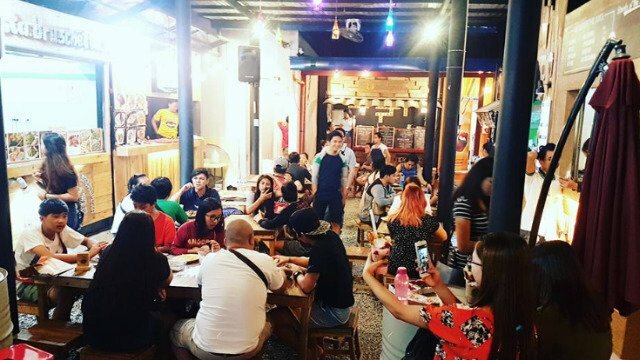 Some of the dishes at this food park will have your tastebuds dancing in delight. For starters, the four-patty cheeseburger and blowtorched bacon-mushroom fries are a must-try. 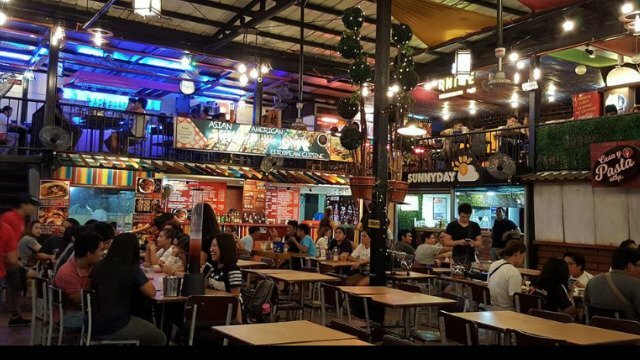 Borderline Food Park is at 3635 P. Sanchez Street, Santa Mesa, Manila City. 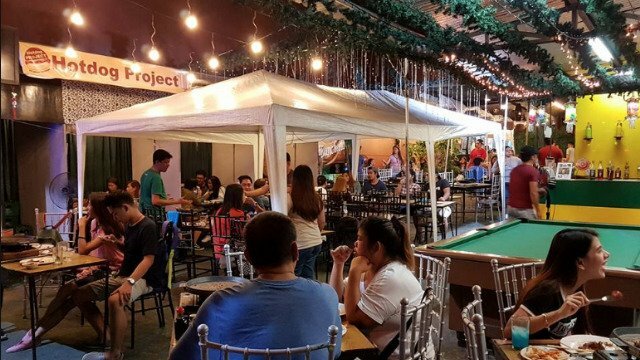 True to its name, Chill Out Food Park offers everything you need for a proper night of hanging out: great food, KTV bars, live bands, a DJ, and even a darts competition every Tuesday night. 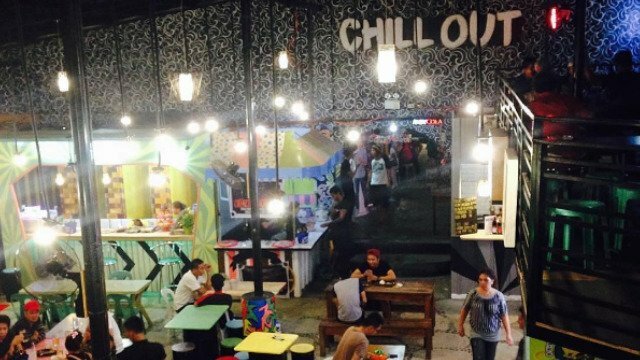 Chill Out Food Park is at 978 Captain Samano Street, Area A Camarin, Caloocan City. 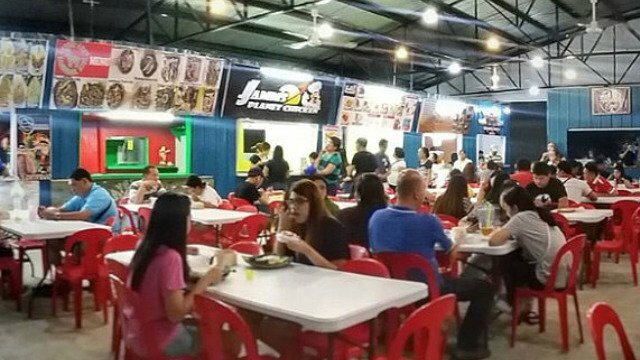 This food park is known for its P250-unli-everything deals, from the meats you grill right on your own table, to the various ulam and rice offerings, right down to the refreshing black gulaman. Pitsjack Banchetto is at 19 Dasdasan Street, Midtown Subdivision, San Roque, Marikina City. They don’t call this place High Ground for nothing—the food park was designed to resemble a castle. Stalls offer cuisines from just about every corner of the globe, from Western delights to Asian favorites. High Ground Food Park is at McArthur Highway, 3rd Floor Rock Castle, Saog, Marilao, Bulacan. 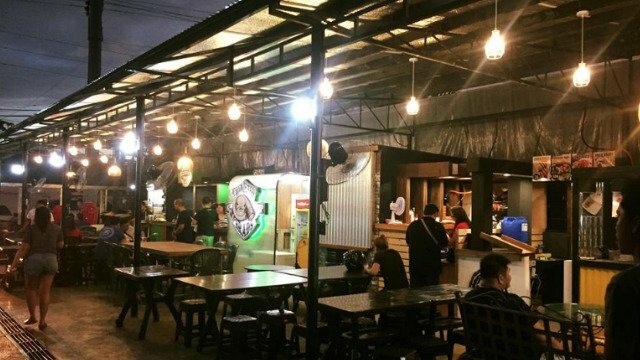 Head over to Food dEASTrict in Cainta and discover why this food park has become a foodie fascination. Worthwhile eats include charcoal burgers, sizeable hotdogs, and colorful waffle creations. Food dEASTrict is at Lot 3, Block 3, Felix Avenue corner VV Soliven II, Cainta, Rizal. KAPStop is the only place where you can get food cooked on a car front that’s been converted into a grill. 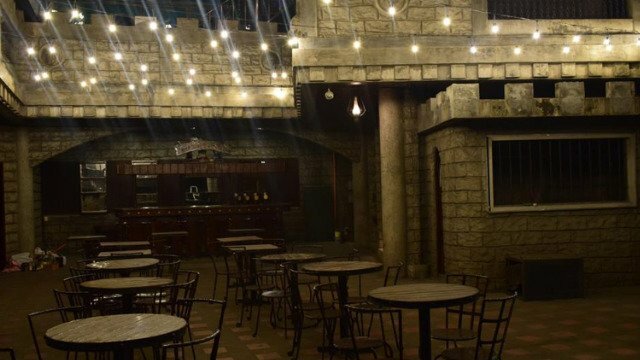 It also serves many inuman staples, such as chicken wings, sizzling plates, and pizzas. KAPstop is at 21 Ortigas Avenue Extension, Sto Nino, Cainta, Rizal. 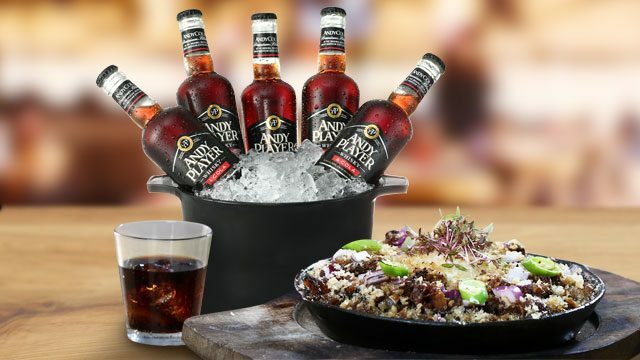 On your next food crawl, pair up your food find with Andy Player Whisky & Cola, a swabe drink that combines the bite of whisky with the distinct flavor of cola. It goes down smooth with various food park fare and it’s a must at all of your chillnuman at lamunan sessions. To know more about Andy Cola, follow them on Facebook.